Legend, Norwegian Sea, Holland America Amsterdam and Holland America Rotterdam VI offer several New England-Canada cruises from New York City. Carnival Triumph offers 2-Day Cruises to Nowhere in the summer. New York City's Cruise Passenger Terminal is located a few blocks west of Times Square on the Hudson River in Midtown Manhattan. 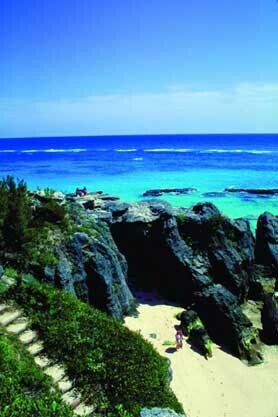 The terminal occupies the West side Celebrity Horizon visits St. George, Bermuda of 12th Avenue between 46th and 54th Streets. Airport taxis can provide direct service to the piers for passengers arriving at LaGuardia, Kennedy or Newark International Airports. Passengers disembarking from cruise ships at the cruise terminal are within seven blocks of Times Square, Broadway shows, Central Park, Columbus Circle, Carnegie Hall, the Empire State Building and other Midtown Manhattan attractions. 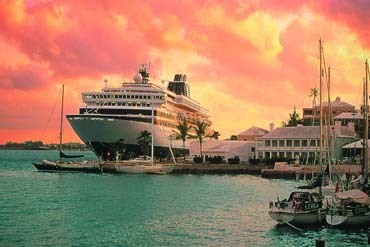 Celebrity Horizon and Celebrity Zenith sail Saturdays (April through October) from New York City on 7-Night Bermuda cruises with stops at St. George's Island and Hamilton. Royal Caribbean's Nordic Empress sails from New York City on 7-Day Bermuda Cruises with stops in King's Wharf for 3 days and in Hamilton for 2 days. 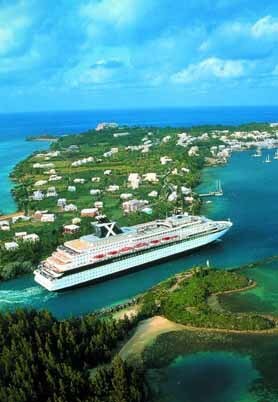 Cruises stop in Boston, Portland (Maine), Sydney (Nova Scotia) and Halifax (Nova Scotia). Carnival Triumph's 5-Night New England / Canada cruise stops in New Brunswick and Nova Scotia. Carnival Triumph's 4-Night New England / Canada Cruise stops in Nova Scotia. Carnival Legend offers two fall 11-Day Canada / New England Cruises from New York City with stops in Boston, Portland (Maine), Quebec City, Sydney and Halifax (Nova Scotia). Golden Princess departs from New York on fall cruises to New England and Canada. Golden Princess offers 7-Day cruises from New York with stops in Nova Scotia, New Brunswick, Maine, Boston and Rhode Island. Pacific Princess offers a 14-Day Transatlantic European Cruise from New York with stops in Bermuda, Portugal, Gibralta, Spain, France and Italy. Holland America's Amsterdam and Rotterdam VI offer Canada / New England cruises from New York City as well as Mexico, South America and Panama Canal cruises. Norwegian Sea offers 7-Day New England Cruises from New York City with stops in Halifax (Nova Scotia), Bar Harbor (Maine), Boston, Martha's Vineyard and Newport, Rhode Island. Norwegian Sea also offers alternating one-way New England / Canada cruises from New York and Montreal with calls in Boston, Bar Harbor, Halifax and Quebec City.